When I did my Top Ten Hot Toys Head Sculpts last week, I intentionally kept the list Hot Toys only. When you make the lists too broad, you ignore far too much great stuff out there in a silly attempt to jam it all into an arbitrary number of ten. This week, I'll look at my Top Ten Sideshow Sixth Scale Action Figures. These aren't just portraits, although I might end up doing that at some point, but rather the overall figure, the sum of the parts if you will. When I first devised the concept, I figured it wouldn't be too hard coming up with ten - I was wrong. And no, before you get all snarky, not because there weren't enough to choose from. The reality is Sideshow has a lot of figures to ponder for this list. A lot. From their early work with Universal Monsters to their modern work on Star Wars, from their internal creations like The Dead to their wide ranging historical lines, from licensed characters both well known and obscure, they've done it all. And in all those areas they've produced real winners. I narrowed the list a little. First, I decided I'd stick with just the male figures, saving several of the females for a potential inclusion in a Top Ten Female Sixth Scale list. I also tried hard not to overload the list with one license, but Star Wars did take a majority of the spots anyway. 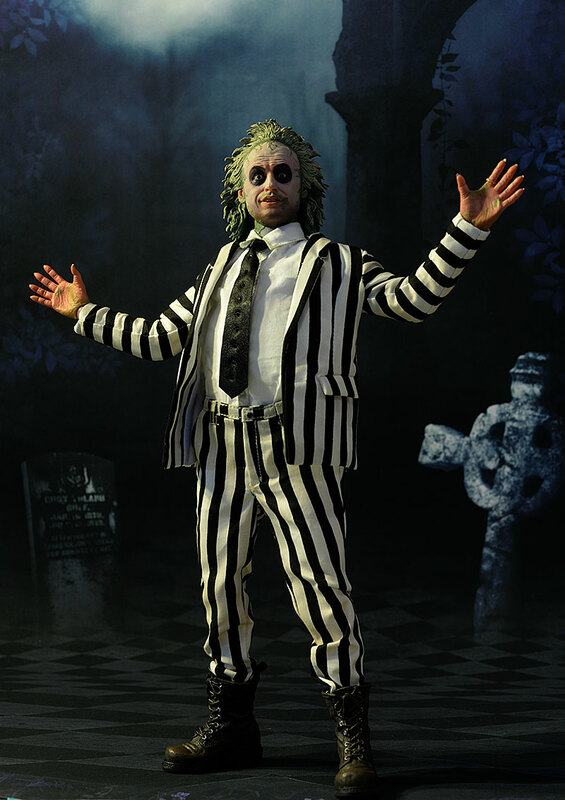 And no, of course Beetlejuice didn't make the cut...he wasn't even on the short list. Or the long list. Or the really long list. But he got your attention, didn't he? It's hard to love a sixth scale figure if you don't love the character. Of all the Trooper variations, the original Snowtrooper remains my favorite. I'm not sure why...maybe it's because the outfit matches the environment so well, or maybe it's because the helmet and face covering have a heroic superhero look, or maybe it's just because I'm from Michigan and I appreciate cold weather gear. Whatever the case, he's my fav, so when Sideshow did their Snowtrooper, I knew I'd be drawn to it. They also did an amazing job, creating a very realistic look to the costume and helmet. 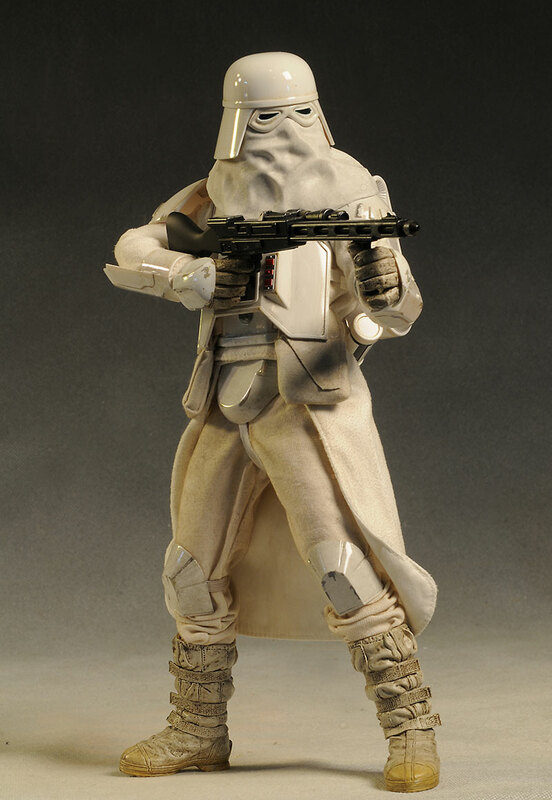 There's a slightly worn, aged look to the costume that I doubt we'll see with the new Hot Toys Battlefront releases. Sure, the serious Star Wars aficionado can find some nits to pick with the helmet and costume, but for me it was a killer release, and looks even better when paired with their Heavy Repeating Blaster. Some of Sideshow's best forgotten work is around the Outer Limits and Twilight Zone television shows. I love them all, even the goofiest of the bunch, but the Eye of the Beholder set stands out for me. I'm putting the doctor on this list, and don't be surprised if the nurse finds her way on to the Top Ten Female Sixth Scale Figure list as well. There were some other potentials here, including the Kanamit and Ikar. But the good doctor won out in the long run. It helps that the costume was simple and they nailed it. 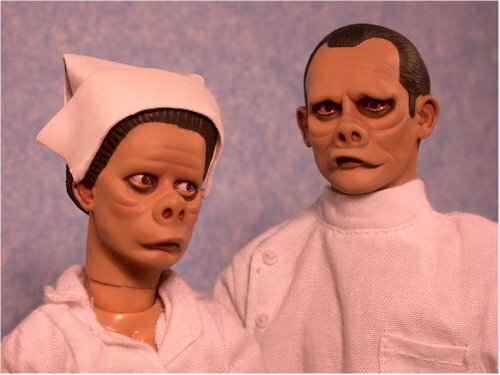 It also helps that the make up for the tv show wasn't all that extreme, but was non-human enough to give the sculptor something to work with. And of course, the quality of the episode boosts the interest in the character. This is my oldest pick on the list, and even after 15 years, remains a favorite. Like the show itself, it's aged well. You should check out the secondary market for this pair, because the prices haven't gotten crazy. Another license that Sideshow did a terrific job with is the Universal Monsters. There are plenty you could pick for this list, and I bet you might have expected the very first Frankenstein. 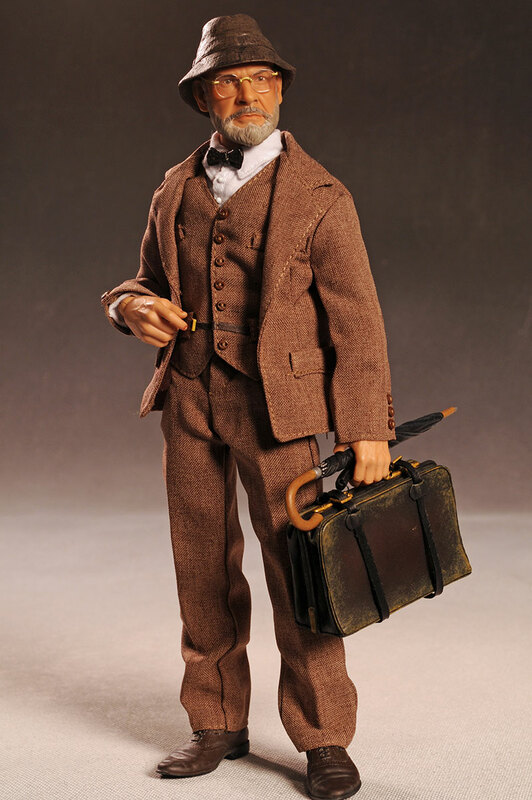 I did include him on my Top Ten Sixth Scale Figures list, but that was based on not only his quality for the time, but his historical importance to the sixth scale market. There's others I considered, including the terrific Metaluna Mutant and the Creature from the Black Lagoon. Even their first Lugosi Dracula was a stand out. But I went with the Invisible Man, a lesser known character and figure for sure. 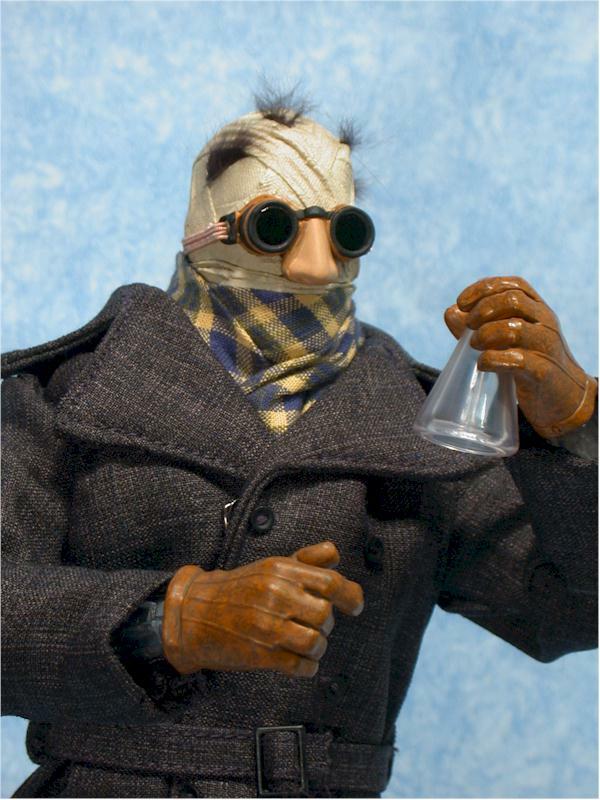 I love how Sideshow solved the overall 'invisible' issue, creating a hollow wrapped head, a separate piece for the glasses and fake nose, and a headless clear plastic body. Using this combination you could display him in all sorts of interesting ways, and while the tailoring on the suit isn't up to 2017 standards, he's still a figure I proudly display. This guy has gotten a little harder to find , but it isn't impossible. 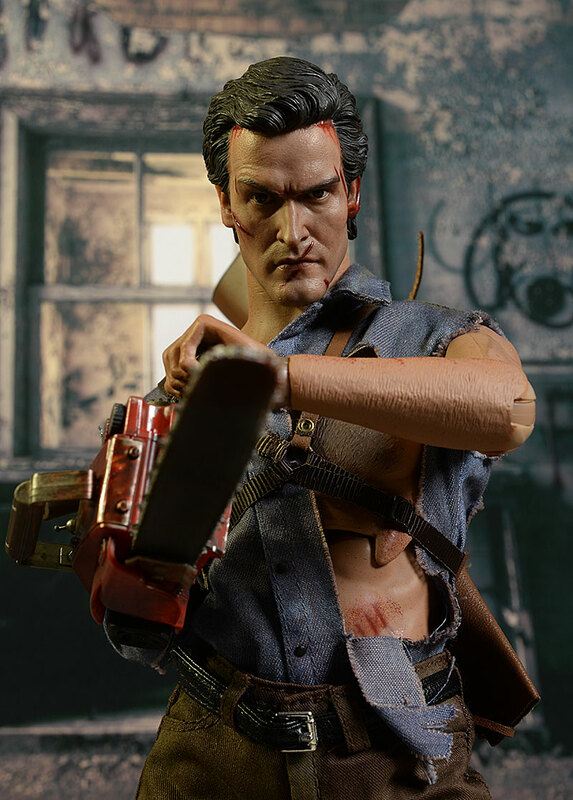 The Doctor was the oldest figure on this list - Ash from the Evil Dead is the most recent. This guy has some nits, no doubt about it. He's not perfect, no way. But he is my favorite figure from them in the last couple years, and shows they can still do excellent licensed human characters when they set their mind to it. I'm hoping we'll see this same level of quality (or even better) with their upcoming releases, as they push their way back into a market they let get away from them. Let's get back to Star Wars for a minute, one of the biggest licenses they've ever worked with. They produced somewhere near 734 different Troopers, and they did it far cheaper than Hot Toys. You could create an army by giving up and arm and a leg - Hot Toys also requires your first born. 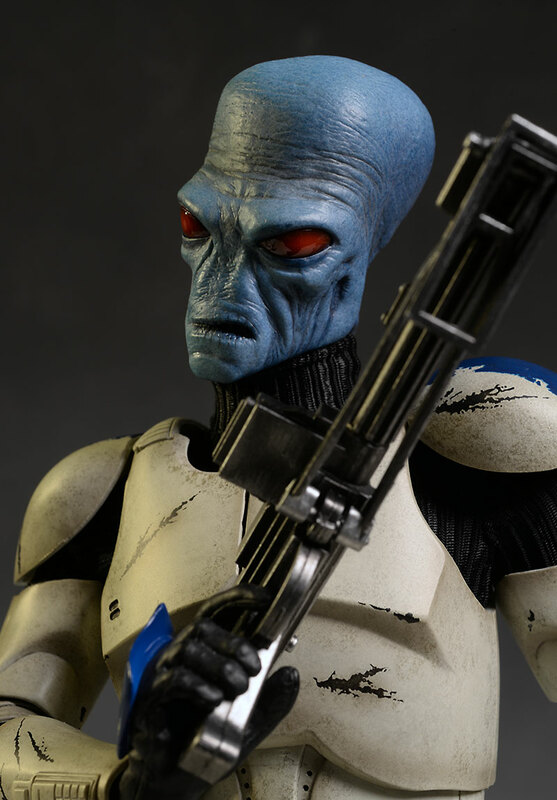 And many of those troopers were terrific, from the Veteran Clone Trooper to Captain Rex. While I already had the Snowtrooper on the list, I felt I needed something to represent the more modern look...but which one? It was actually a pretty easy decision, since I love weird, alien sculpts: Cad Bane! This guy can be a regular Clonetrooper, or you can swap in the Cad Bane head and have the bounty hunter in his disguise. It's a great release, and of course, the only way to go is Bane. Multiple companies have taken a crack at the Indiana Jones license, and none - NONE - so far have hit it out of the park. Poor Indy just can't seem to catch a break. Sideshow did as good a job as anyone, and at least they produced figures outside of the man himself. While some were less than stellar, their Dr. Jones Sr. is a real winner. He's not going to have the texture and realism of the best 2017 figures on the market, but he can fill out the display nicely, and both the accessories and costume have stood the test of time. Get yourself this figure, the 21st Century WWII motorcycle and sidecar, and your favorite Indy, and you'll have a fantastic set up. Sideshow has been doing some nice comic based figures the last few years, both under the Marvel and the DC banner. I think I've made it pretty clear that I'm a Batman fan from way back, so it's probably no surprise to see their terrific comic themed take on the caped crusader make my list. The best feature is the three different cowls and three different lower face plates, giving you nine different potential looks for your shelf. 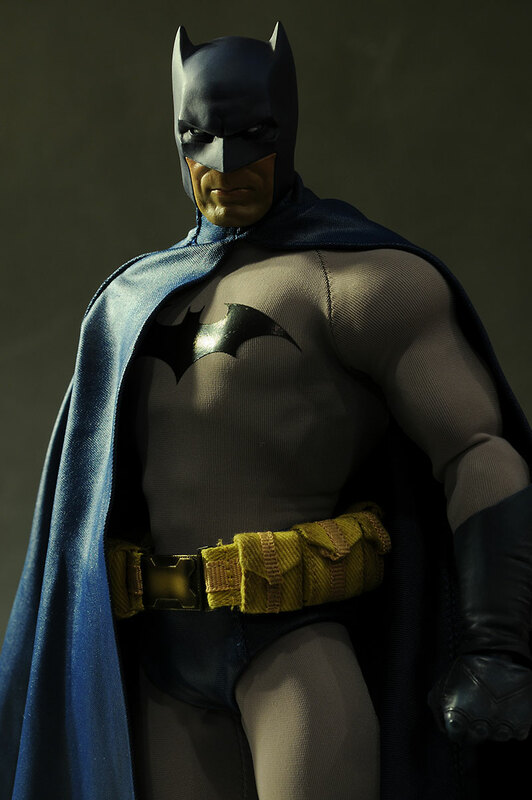 The leathery cape and cloth belt are big pluses as well, and the uber-buff body is befitting the Dark Knight. 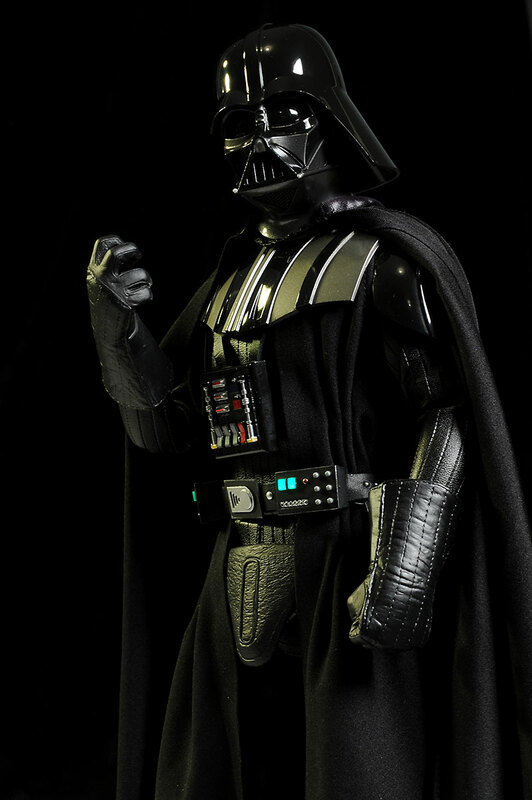 Sideshow has done a number of Darth Vader figures, and all of them were top notch for the time period in which they were produced. Since taking on the Star Wars license, Hot Toys has done two of their own. The first was hampered by a silly light and sound effect, but the second Rogue One release is a beauty. Still, for overall quality and bang for your buck, you can't beat the deluxe version Sideshow released. A big selling point is the damaged Anakin head sculpt, but there's a ton of extras and features with this one that sets it apart from all the other releases to date. This guy also showed up in my Top Ten Joker Action Figures list, and he's got an awful lot going for him. The costume is excellent, he comes with a plethora of accessories that are sensible and sweet, and he even has two portraits! You know how much I love it when we get multiple portraits. The sculpting and paint work on both is outstanding, but it's the maniacal version that puts him over the top for me. 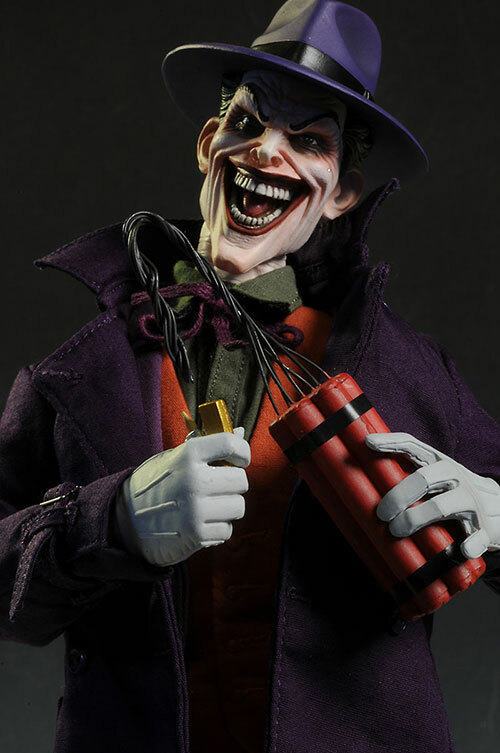 He goes great with the aforementioned Batman or the Sideshow Harley, and if you're building a DC comic themed display, this is the Joker to have. Bet you didn't see this one coming! 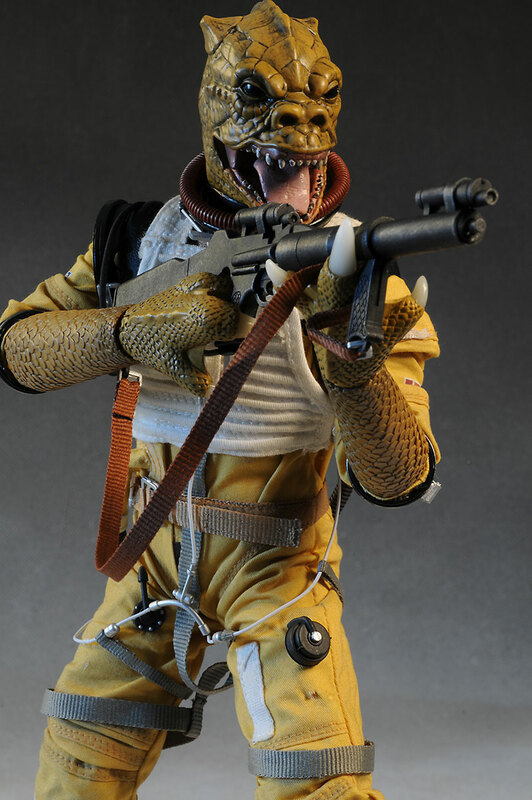 I've always loved the design of the Bossk character, even if his outfit was just a 1960's flight suit. I'm a sucker for 'man in a rubber suit' monsters (hence the earlier mentions of the Metaluna Mutant and the Creature from the Black Lagoon), and Bossk fits that bill nicely. They did a fantastic job on the sculpts of both heads - yep, like the Joker, you get two portraits with this guy - and the costuming is excellent. I have a soft spot for all the bounty hunters in Star Wars, but Bossk was always my visual favorite. Sideshow killed it with this figure, and I don't expect anyone to outdo them in the near future. As I was going through various figures in my head for this list, I did try to rule out those that have had better versions released by others. You might argue about Vader, but the deluxe still sports far more options than the Rogue One Hot Toys release. It did rule out characters like ANH Obi-Wan, who was great at the time but has since been surpassed. Another figure I loved at the time was Darth Maul, but much of the luster has worn off him since, at least for me. I was shocked at all the figures I'd forgotten about, from Young Frankenstein to Hogan's Heroes to George Washington. Sideshow has certainly been prolific, and been prolific for a lot of years. No other company has had the same sort of depth or breadth in the sixth scale market, and I doubt anyone ever will. Captain Toy Picks...The Top Hot Toys Portraits - Male!